The extra day this holiday weekend was great for getting some extra pottery done and enjoying a nice weekend at the farm studio. 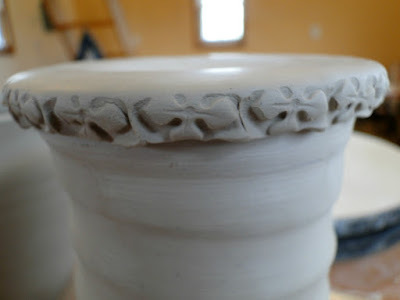 Among other things there are a couple dozen mugs on drying boards with a little bit of texture around the base. No two are alike and some of the textures worked better than others. It’s all part of the learning to try many different tools and stamps to see which achieve the look you seek. 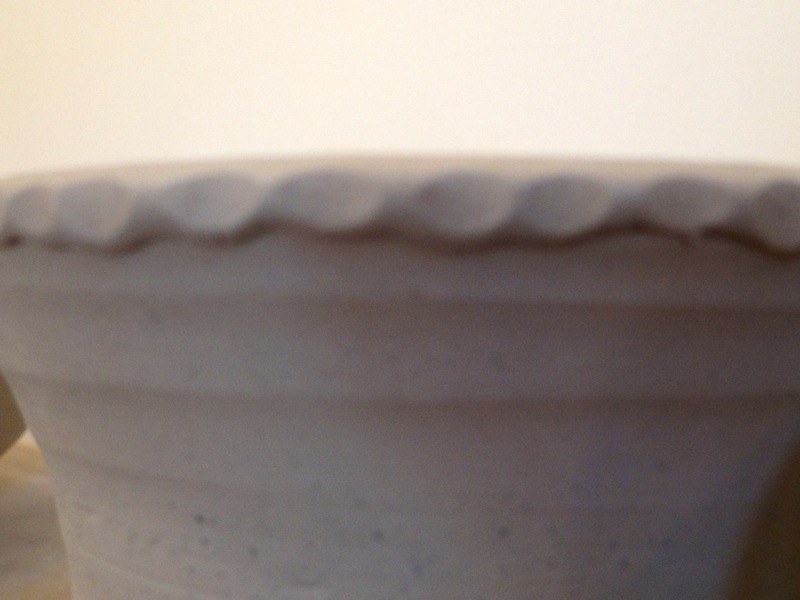 I think the simplest may be my favorite – the mug below was textured with a piece of dowel. I’m hoping to put them through the next woodfire (targeting July 4th weekend) – can’t wait to see how they turn out.